Support the arts and connect with the community! Bookmans sponsors a new hybrid event series with the City of Phoenix Parks and Recreation Department Latino Institute. Fridays in the Park and Arts and Smarts in the City are two parts of an event concept taking place in both Civic Space Park and Bookmans Phoenix. By bridging the Downtown area with Northwest Phoenix, our goal is to circulate great ideas throughout our metropolis while promoting Arizona-grown businesses and non-profit organizations. Our debut events were a smash and we look forward to the next in the series. Fridays in the Park takes place at Civic Space Park each second and fourth Friday through June 2014. This free event combines live music, outdoor movies, spoken word poetry, food trucks and community partners. Bookmans is always on site with our famous prize wheel and giveaways. 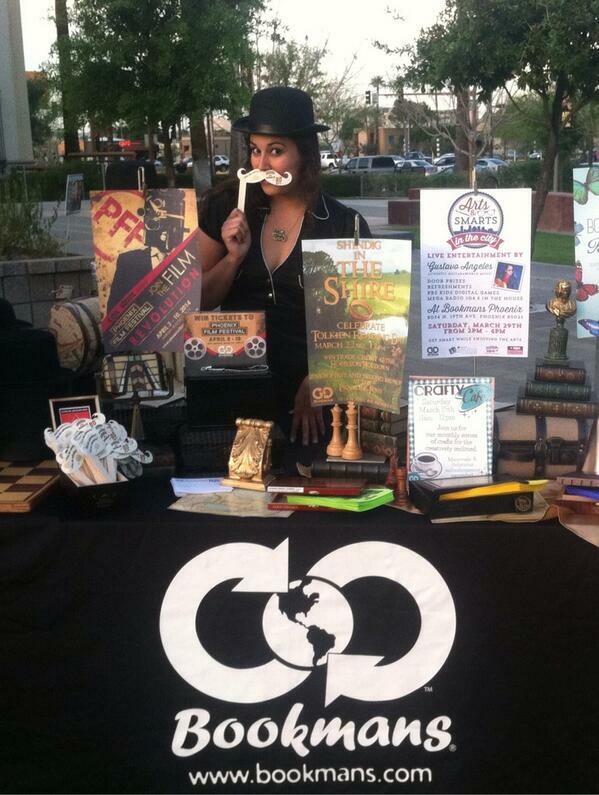 Arts and Smarts in the City takes place at Bookmans Phoenix once a month through June 2014. Also a free event, Arts and Smarts hosts local music, literacy and learning activities all in one spot. Community partners include Mega Radio 104.3 and Eight, Arizona PBS. In a relatively short amount of time, the Metro Light Rail construction will be complete and a shiny new train will run between Civic Space Park and Bookmans Phoenix. Until then, it’s just a quick jaunt along 1-17 from the corner of 19th Ave. and Northern to the heart of Downtown. We look forward to seeing you at Fridays in the Park and Arts and Smarts in the City. For the full schedule, please visit our Event Calendar.